When you have service and repairs performed at a TECH-NET PROFESSIONAL AUTO SERVICE center, you’re covered by a Worry-free Driving Nationwide Warranty. The Worry-free Driving Nationwide Warranty reaches across North America when you need it most providing vehicle protection on qualifying service and repairs. TECH-NET PROFESSIONAL AUTO SERVICE centers will protect your new car warranty and are committed to providing a successful and pleasant automotive service experience. 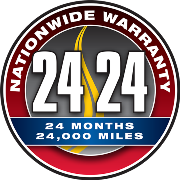 Our Warranty program covers most parts and labor for 24 months or 24,000 miles / 40,000 kilometers, whichever comes first when traveling more than 25 miles / 40 kilometers from the original TECH-NET PROFESSIONAL AUTO SERVICE repair facility. In the event you need assistance on a warranty related repair when traveling beyond 25 miles / 40 kilometers from the original service facility, the warranty program administrator will direct you to the nearest in-network service facility to handle the warranty related repair. Ask for complete warranty coverage information and details on your next service visit. Contact the Worry-free Driving Warranty Administrator toll-free at (866) 588-0728 and select option 1 for warranty service when outside a 25 mile / 40 kilometer radius from the original servicing location and in need of repair service. Contact your local TECH-NET PROFESSIONAL AUTO SERVICE center for warranty terms and service inside a 25 mile / 40 kilometer radius of the original service facility.